The United States government spent over $42,000 per Afghan to create 500 jobs over there. And that’s the good news. The ever-cheerful Special Inspector General for Afghan Reconstruction (SIGAR; we have been paying to rebuild Afghanistan for the past 15 years with no end in sight) just released their inspection report on the State Department/USAID-funded Bagrami Industrial Park. 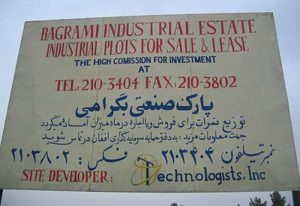 — USAID awarded a $10 million contract to Technologists, for the development of the industrial park. After modifications, the contract’s value increased to $21.1 million. So sorta more than double what it was supposed to cost you, the taxpayer. — As a result of some missing documents, including the record of final payment, USAID could not say when Bagrami Industrial Park was “completed” or when the park was transferred to the Afghans. — The contractor, despite doubling the cost, did not include adequate water and sewer systems. So, the Instead, the Afghan Ministry of Finance had to use additional U.S. funds to buy water from a nearby textile factory. — Because of the lack of proper sewage systems, the park’s remaining factories release industrial contaminants into the streets. This creates ongoing health risks to workers as well as to the local residents in the surrounding neighborhood. — In 2011 the park employed 2,200 people, still short of its 3,000 employee goal. By 2015 the number of employees had decreased to about 700. That dropped in June 2016 to about 500 workers. 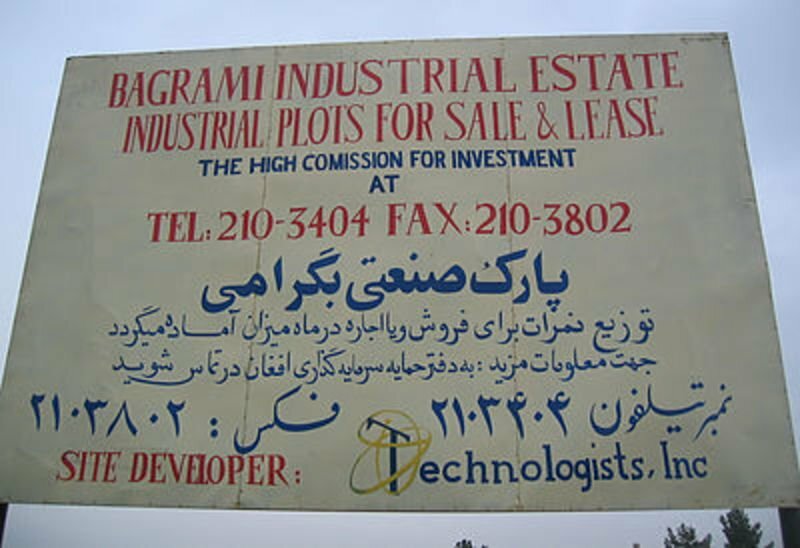 No details are available on the cost of the Bagrami sign, shown above. Yet one more is added to the list of definitions of the term absurd. Is there a Starbuck$ ?